With so many restored Louisiana plantation homes to visit, how do you narrow down your choice of Louisiana plantation homes when you are travelling with children in tow? 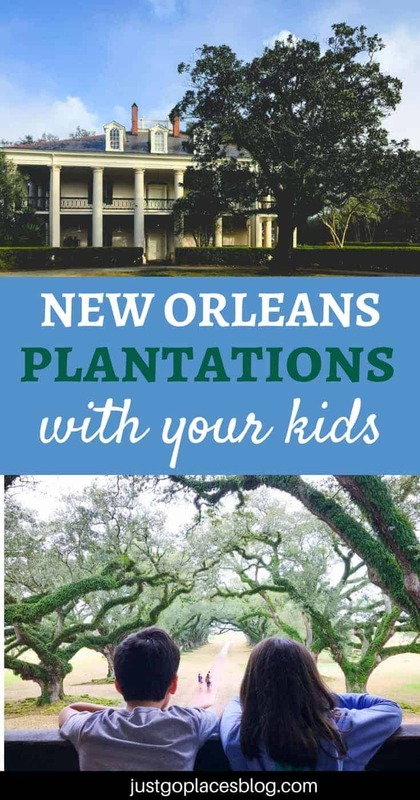 My husband and I would have loved to have seen as many plantation homes in Louisiana as we could have but we knew our children had a much more limited attention span. 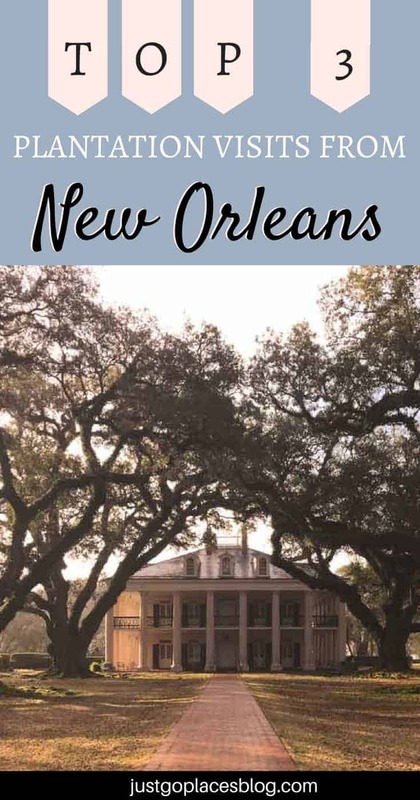 In the end, we chose three of the New Orleans plantation houses to visit based on their proximity to each other and the different perspectives on Southern plantation life they provided. 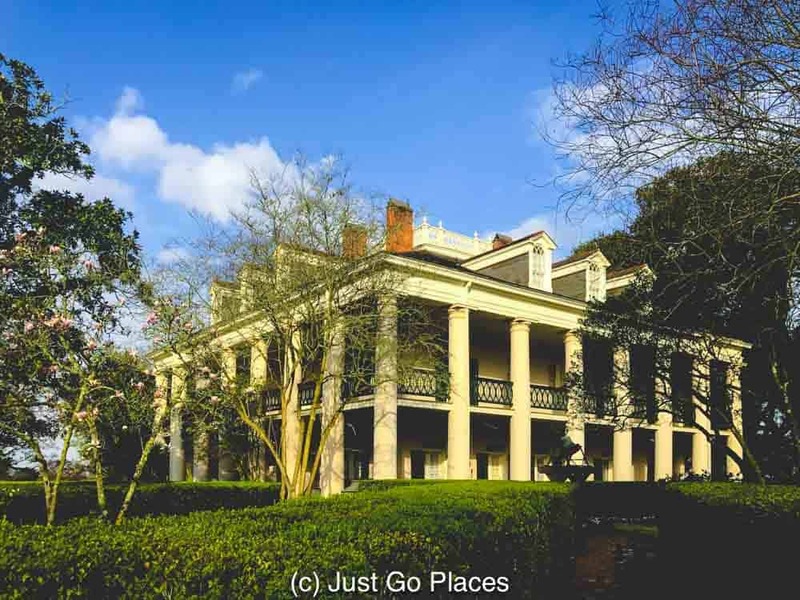 The top 3 Louisiana plantation homes to visit from New Orleans. New Orleans plantation country has 10 major plantations to explore. Destrehan Plantation and Ormond Plantation are the closest to New Orleans and the international airport. Houmas Plantation and San Francisco Plantation focus on the grandeur of New Orleans plantation houses and the Antebellum lifestyle enjoyed by its owners. Poche Plantation and Oak Alley Plantation offers a history of the families who lived there. Laura Plantation focuses on the connection of the French Creoles with the region. St Joseph’s Plantation is still a working sugarcane plantation. 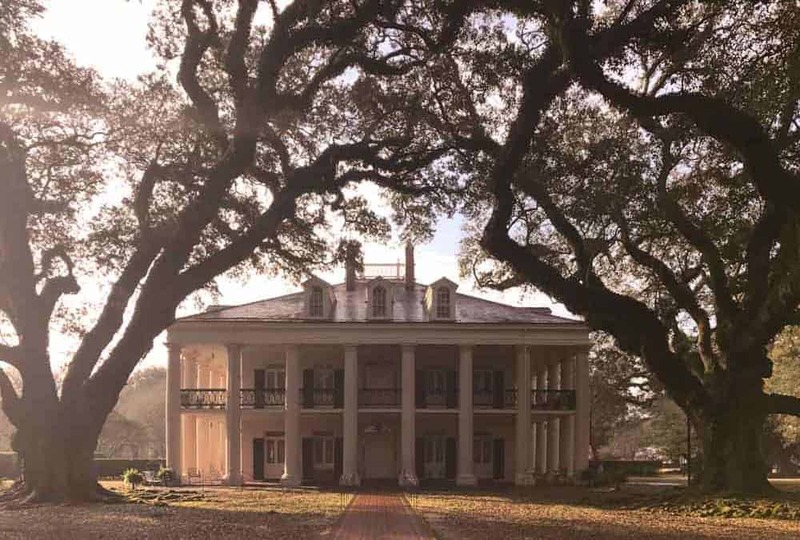 Evergreen Plantation offers a bit of everything – a French Creole history, grand architecture, the stories of slave labour and a working sugarcane plantation. Whitney Plantation tells the story of the slaves working on these sugarcane plantations. Our decision came down to convenience as well as having good historical learning exhibits. New Orleans plantation country extends all the way to Baton Rouge on the River Road but we stayed at the end closest to New Orleans. A map of the sugar plantations that lined the Missisippi River in their heyday. Staying on site in a cottage at Oak Alley Plantation, we were also able to visit the nearby Whitney Plantation and the Laura Plantation. 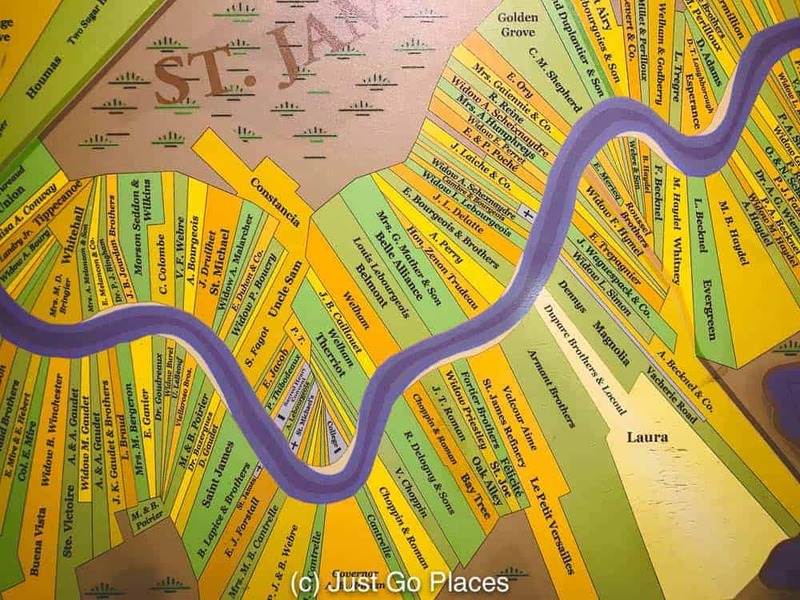 All three of these plantations lie in a convenient cluster near each other less than an hour away from Downton New Orleans. 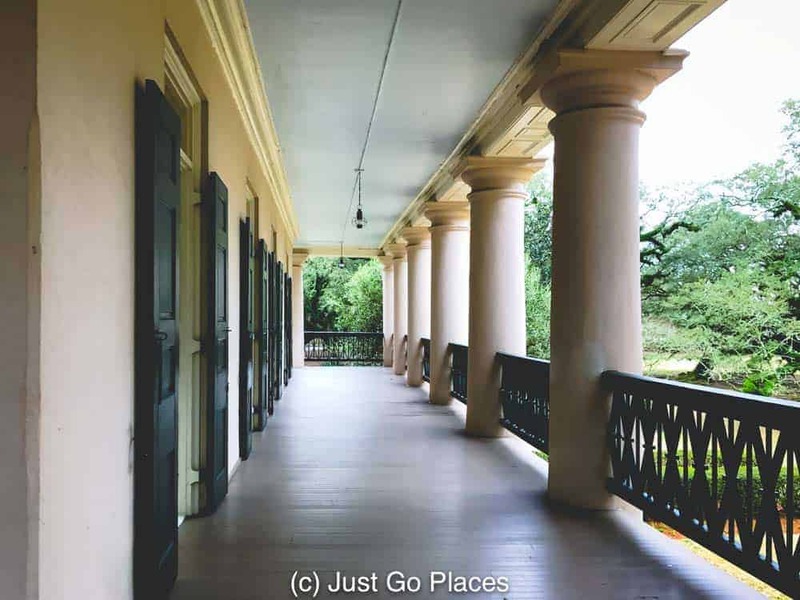 Of these three New Orleans plantation houses, Oak Alley provides the most amenities. For example, there are rental cottages located on the 25 acre property. 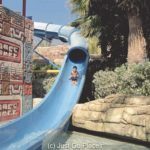 In addition, there is a large restaurant, separate cafe and a banqueting facility as well as the requisite gift shop. St. Joseph’s Plantation is located next door to the Oak Alley Plantation and I was gutted to have to drive by it without entering. I, however, know my children’s limits on museums and three museums in 2 days was plenty. I would have also liked to see Houmas Plantation to compare the Anglo-American sugar plantation lifestyle with that of the French Creoles. We chose Oak Alley Plantation because it not only has family-friendly accommodation on site but is also beautiful. Small wonder it is the most photographed plantation home in Louisiana. Oak Alley Plantations’s history is fairly abbreviated. The 28 Virginia live oaks that give the plantation its name are about 300 years old. They had already been planted by a previous owner when Jacques Roman, the scion of a local rich family, bought the plantation. He had the grand plantation home built as a way to tempt his New Orleans socialite bride, Celina Roman, out to the countryside. Fun Fact! The Roman family owned a whole host of Louisiana plantations homes including one known as Le Petit Versailles (modelled after Versailles in France). Built entirely by slaves with handmade bricks over the course of a mere 2.5 years in the 1840’s, the craftsmanship is extraordinary. The plantation house is built in a Greek revival style with 28 Tuscan columns meant to echo the 28 live oaks lining the driveway. The exterior walls are stucco made to look like marble. 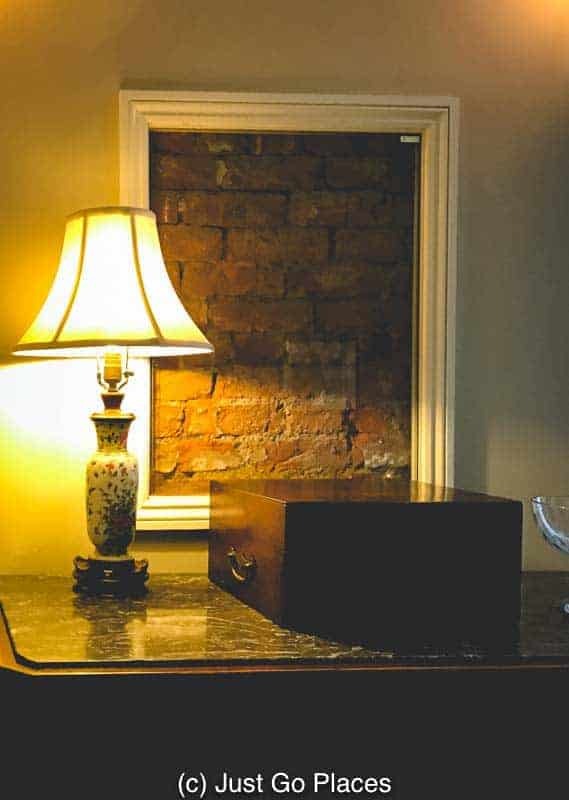 A cutaway of the plaster wall at Oak Alley plantation shows the handmade bricks made by the enslaved workers. The Romans lived for less than 10 years at Oak Plantation when Jacques Roman died. Celina did not have the skills to run a sugar plantation. By the time their son was old enough to take over the running of Oak Alley, the estate was heavily in debt and the estate was sold in 1866. With the end of slavery, the economic model of sugar plantation was not viable and so the whole plantation eventually fell into ruins. The current owner’s family, wealthy Texans, bought the house for $50,000 in 1925. They had to spend $60,000 though to renovate the plantation house and make it liveable. The beauty of the columned terrace. With its obvious beauty, Oak Alley is a popular film venue. For example, it has appeared in Interview With A Vampire (1994) as the home of Louis (played by Brad Pitt). My kids were more impressed though that it was in the video for Beyonce’s song Deja Vu. 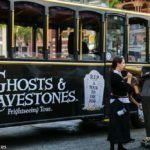 As of January 2018, the tours are no longer conducted by guides in period dress. The tours of the plantation house are run frequently throughout the day and last about 45 minutes. TripAdvisor reviews seem to agree with me that the house is amazing and the tours are OK. You do get the feeling that you are being pushed through on the tour like you are on a factory processing line. 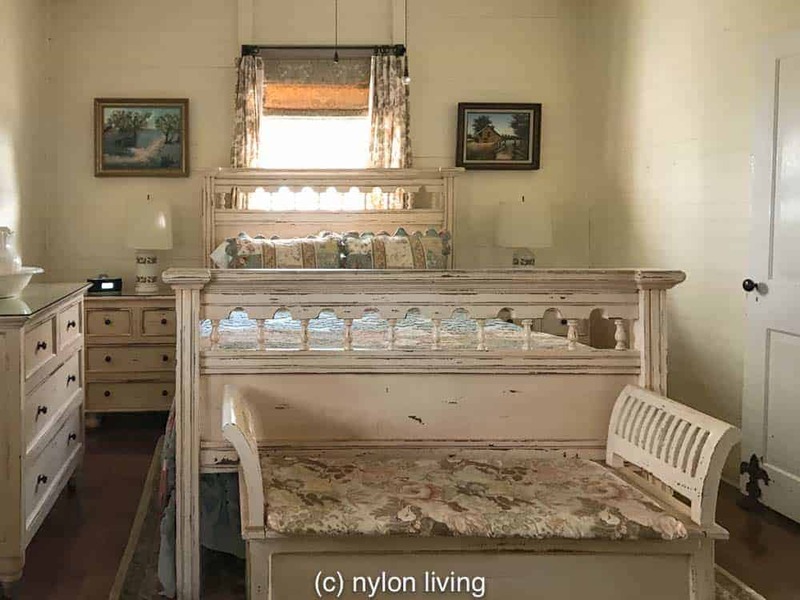 You get a brief history of the family, a look at the formal sitting room, the dining room and some bedrooms. You have great views over the plantation grounds from the second floor terrace, including down that famous alley of live oaks. 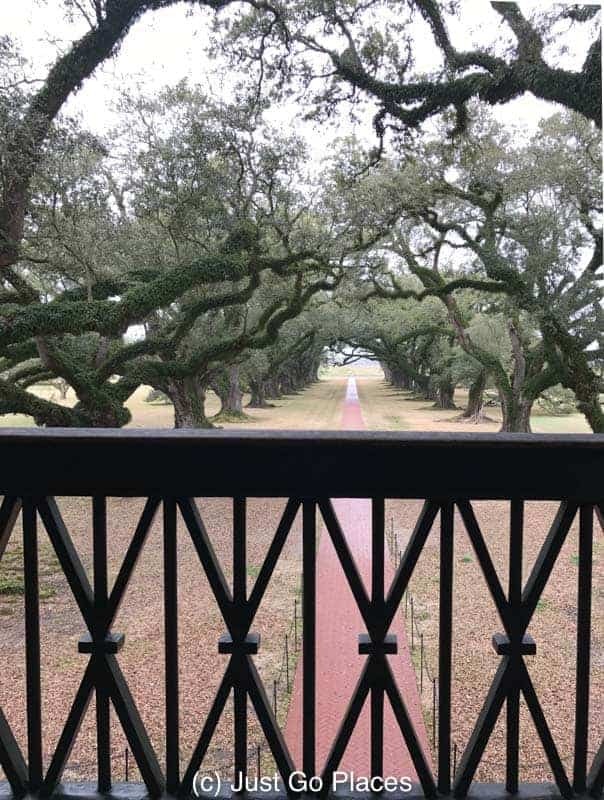 The view from the terrace down that famous alley of live oaks at Oak Alley Plantation. Outside on the grounds, there are self-guided tours you can do. There is also an exhibit on slavery at Oak Alley for which you can listen to a separate tour guide discuss the life and duties of slaves on the plantation. Old Sugar Kettles now are part of the landscaping at Oak Alley Plantation. When we listened to the talk on slavery at Oak Alley, we realised about 2/3 of the people in the group walked away from lack of interest. Many people are at Oak Alley because it is pretty and a brief glimpse into the lifestyle of rich planters in the Antebellum South. Whitney Plantation is the only plantation to focus on the plight of the Southern slaves. Unlike the other two New Orleans plantation tours we took, the plantation owners’ life and home was very much ancillary to the tour. The Whitney Plantation was started in 1752 by a German family, the Haydels, who had come to Louisiana as indentured servants. They changed their name to sound more French to fit in with the locals. From indentured servants to rich plantation owners, they epitomised the American Dream long before that idea had even been conceptualised. 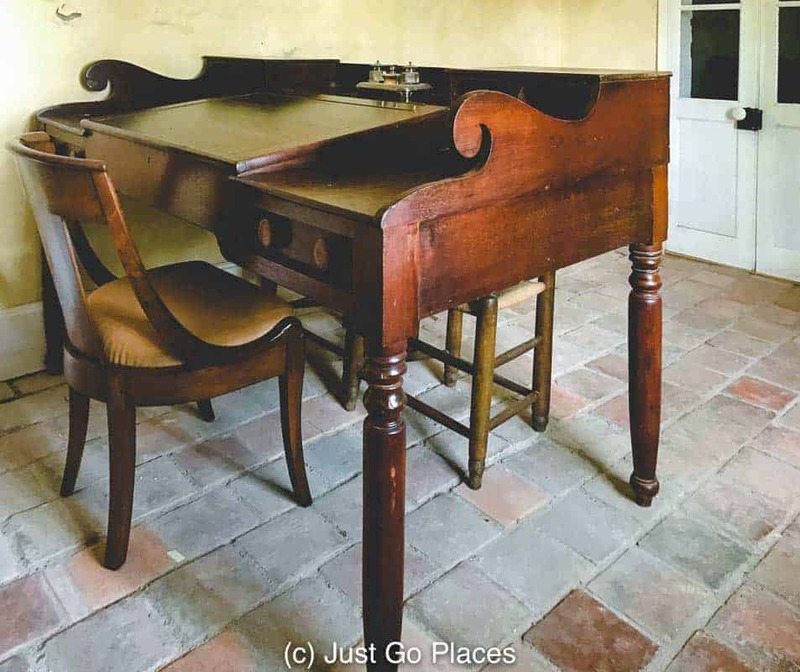 The estate office for Whitney Plantation is a relatively subdued affair. The house architecture is considered French Creole cottage. 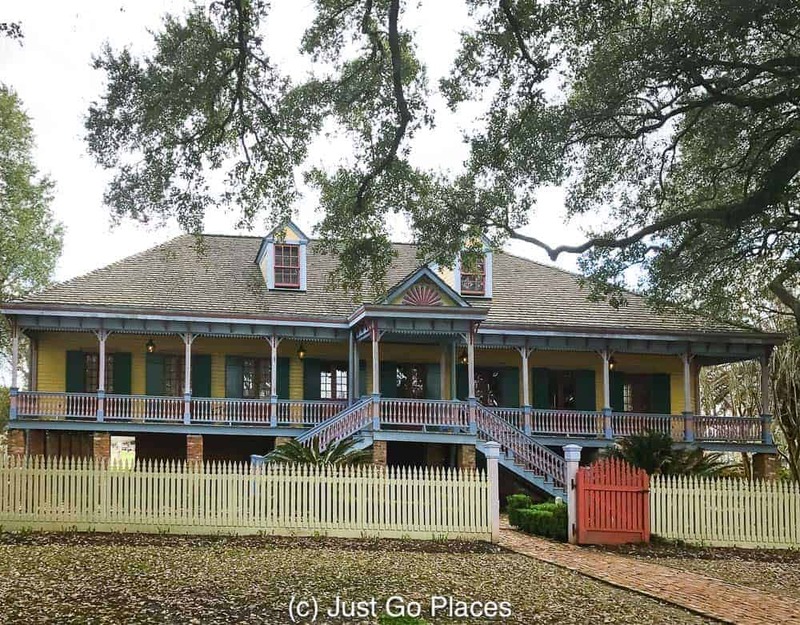 Although the house looks grand from the outside, the interior is remarkably humble in keeping with many French Creole Louisiana plantation homes. French Creoles did not entertain as lavishly as the Anglo-American plantation owners and saved their partying for Mardi Gras in New Orleans. In 2014, the Whitney Plantation was opened as a museum to the history of plantation slavery. The Whitney Plantation tour is long – about an hour and a half and is mostly outside. Our guide, Ali, was a dynamic personality and tried to engage with the kids. TripAdvisor reviews agree that the Whitney Plantation tour is excellent. My 11 year old kids found the Whitney Plantation tour fascinating but also disturbing because it made a vague concept they had studied about in a textbook more real. Travel Tip – On a hot sunny day like we had, we were grateful we had bottles of water with us because most of the tour is outside. 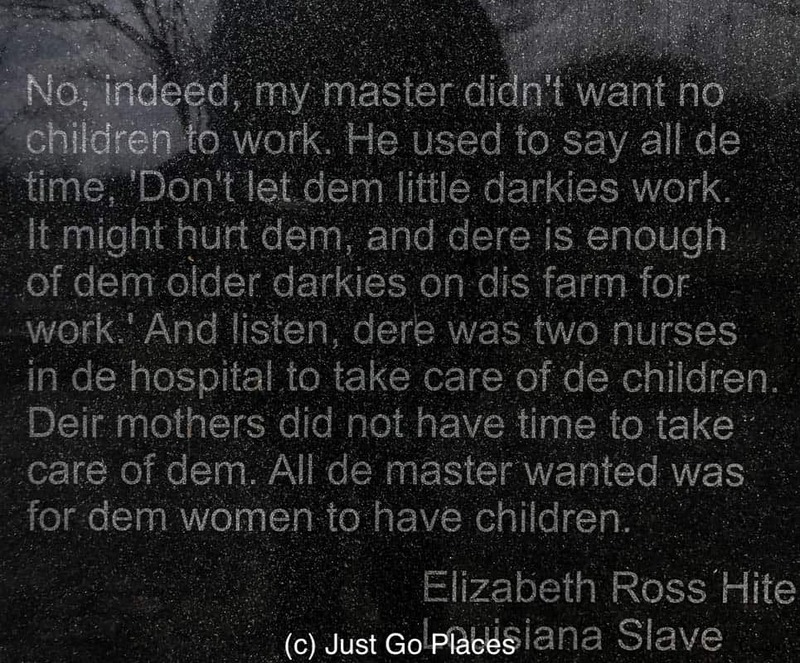 The lives of sugar plantation slaves was very harsh. Sugar was 3x more profitable to grow than cotton but also much more difficult to extract. There were plenty of opportunities for accidents from the cutting of the tall sugar canes to the boiling of the sugar cane in the sugar kettles. For example, if some of the hot sugar cane syrup fell on your skin while it was being ladled, it would stick like tar to the skin. Sad Fact: The average life expectancy of a slave working on a sugar plantation was only 10 years. In fact, it was cheaper to let the slaves die as they grew older and more infirm than to take care of them. The plantation owners referred to young enslaved women as breeders because they were required to provide more human stock to replenish and to enlarge the workforce. Slave women were also kept breeding in order to provide additional workers. The Whitney Plantation has an indoor exhibit explaining slave trade throughout history around the world. Slavery, after all, has been around for millennia. There is also Antioch Baptist Church which was built after the Civil War. 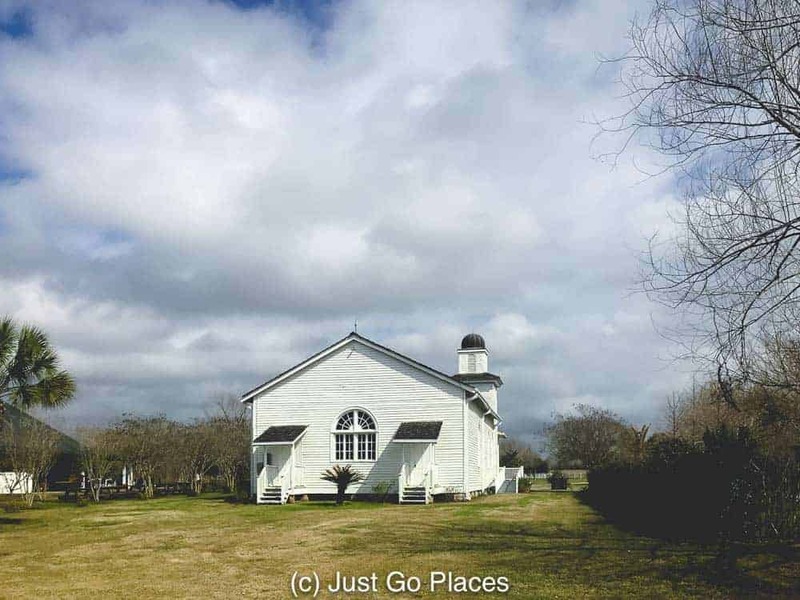 This Baptist Church moved to the Whitney Plantation when the original congregation decided to build a new church after Hurricane Katrina. The Antioch Baptist Church relocated to the Whitney Plantation. The Antioch Church was built by skilled slave labour. Inside are some of the sculptures by Woodrow Nash of slave children taken from actual photographs of slave children. Their eyes are missing to symbolise their hopeless situation. The sculptures are very moving. 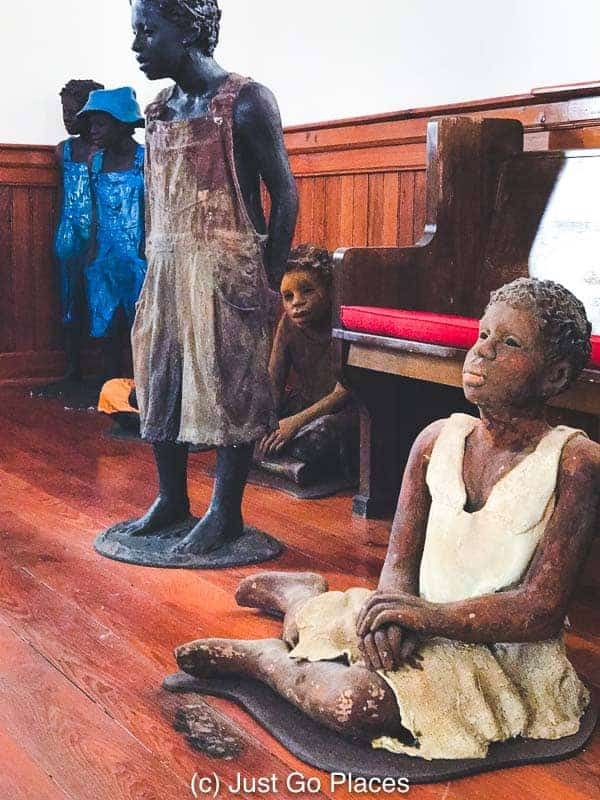 Woodrow Nash sculptures of slave children in Antioch Baptist Church at Whitney Plantation. The Wall of Honor recording the name of slaves who were owned by the Haydel family. A mother is listed with her children under the age of 10. The 18 Walls Monument which records the name of every enslaved person in a plantation home in Louisiana from 1719-1820. 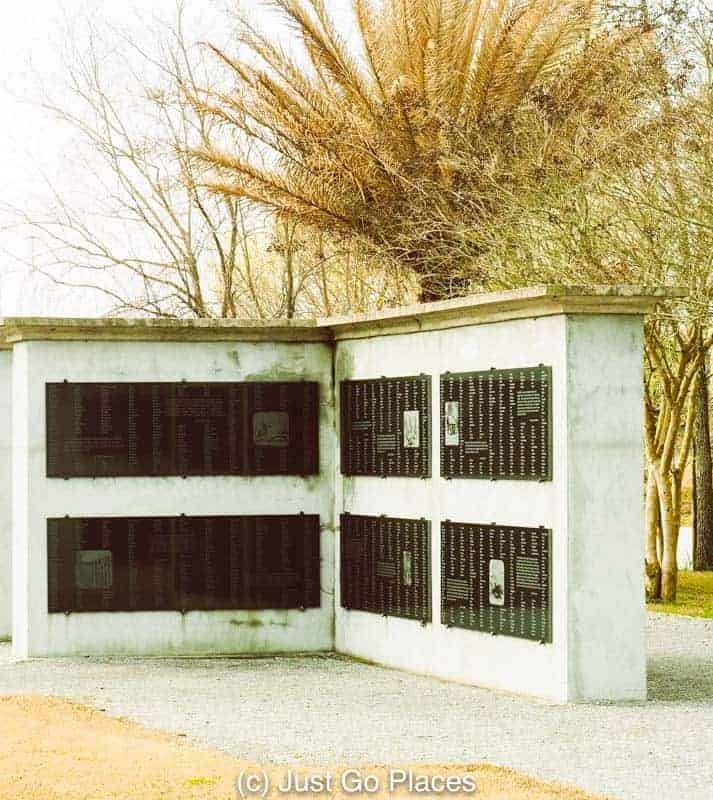 A memorial with the name of every slave in a plantation home in Louisiana during the 99 years ending in 1820. 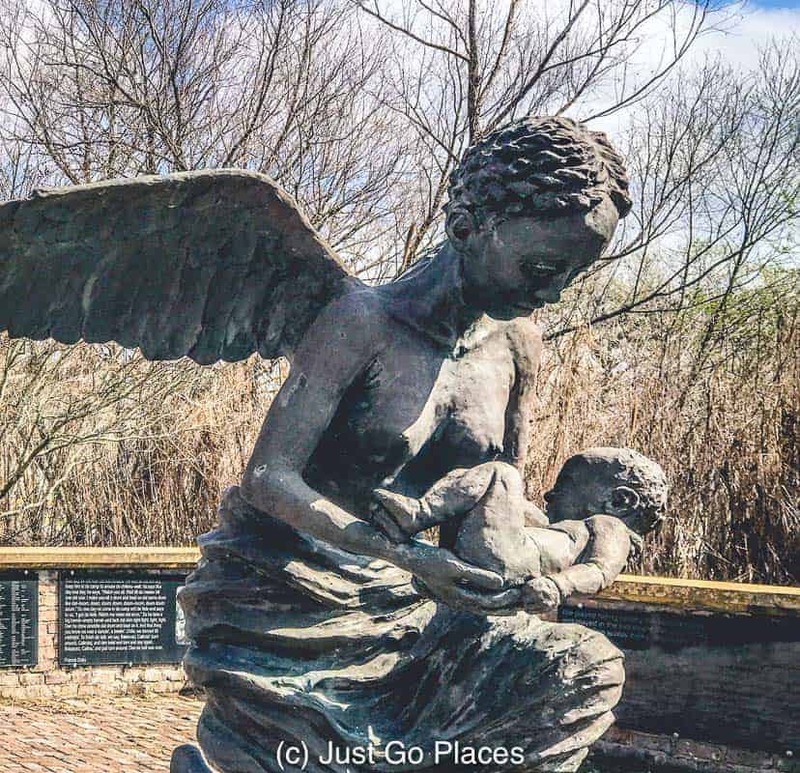 The Field of Angels lists the names of slave children who died at Whitney Plantation and its parish from 1823-1863. The average age of a child was three years old. Many of the youngest did not even have names. Mediums have reported spirits of children playing near this statue to dead slave children. 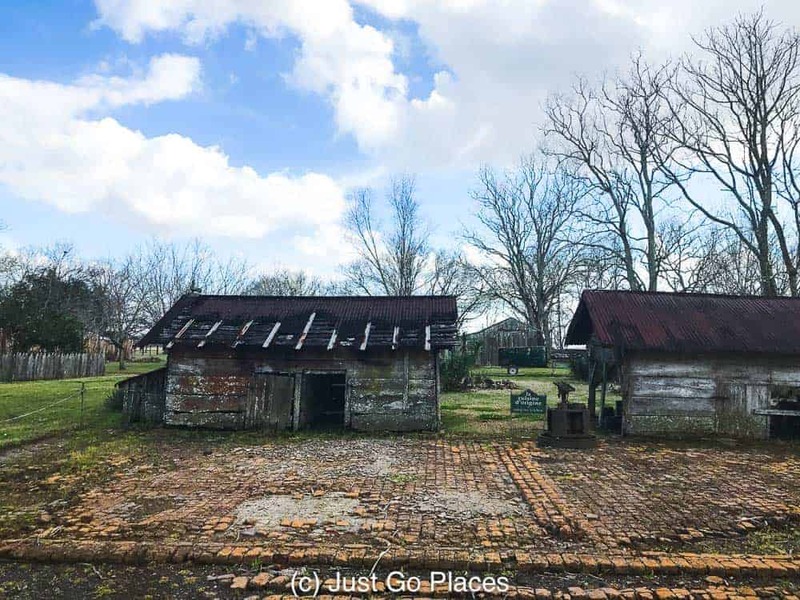 The Whitney Plantation Tour also encompasses several of the outbuildings, including the separate building which was the kitchen, and the slave jail. We visited Laura Plantation because we wanted to learn more about French creole culture which existed until after the Civil War very much separate from the Anglo-American culture in Louisiana. 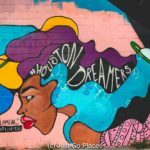 Not surprising considering their origins, the French Creole looked down on Anglo-American culture. Fun Fact! – Laura Locoul Gore (born in 1861) was the fourth generation to live at Laura Plantation but the first generation to speak English! The Laura Plantation was built in 1805 by slaves in the Creole style for Guillaume Duparc. The Big House is a riot of colors similar to the houses you see in the Caribbean. The Laura Plantation’s history is remarkable because it thrived under the management of French women with backbones of steel. In its heyday, the Laura Plantation encompassed 12,000 acres, a sugar mill, 69 slave cabins housing 186 slaves, a slave hospital and communal kitchens. This line of matriarchy was started by a wayward son exiled to the New World. Guillaume Duparc was forced to flee his native Normandy when he got into a duel with his father’s best friend’s son. He joined the French forces who were helping the American side during the American Revolution. Duparc knew George Washington and had friends in high places. To keep on his good side, Thomas Jefferson gave the Laura Plantation to Duparc when the USA acquired the area as part of the Louisiana Purchase. 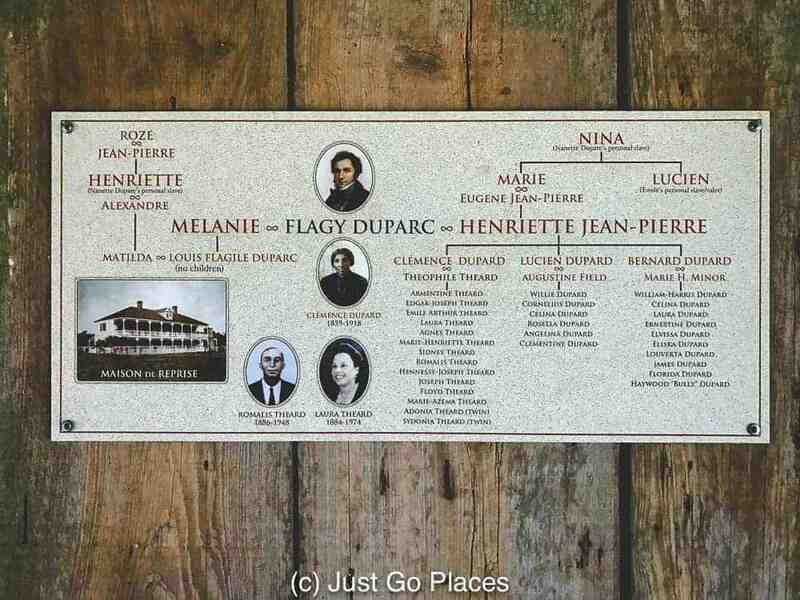 Guillaume Duparc died within a few years and the plantation was run by his wife, Nanette. They had two sons and a daughter. The sons didn’t amount to much and the daughter, Elizabeth, was forced to take over the plantation. 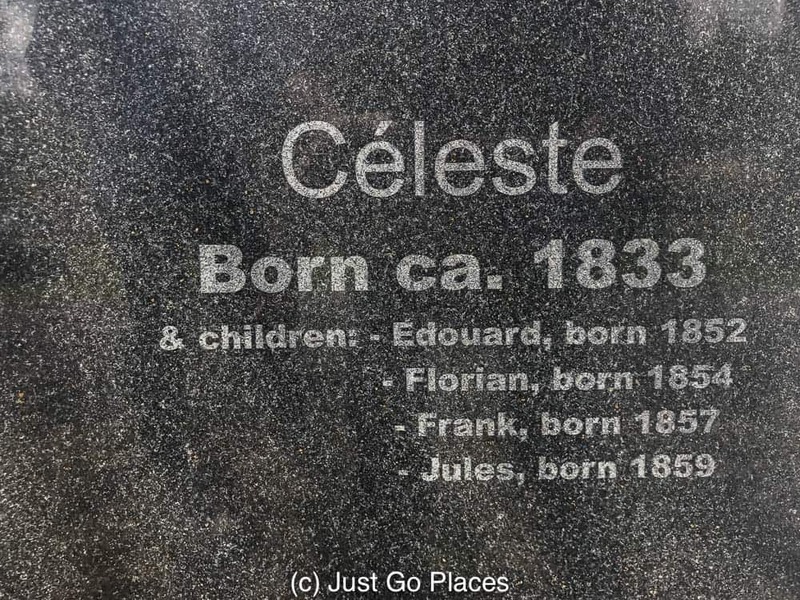 Shocking fact – When Nanette retired to another house on the estate she took 5 slaves with her. Three of these slaves were her grandchildren by her youngest son and a slave woman. She didn’t even set her enslaved grandchildren free. A genealogy of Nanette’s grandchildren who remained slaves. Elizabeth split the estate in half to give to her two children. She was a tough old lady and thought her son was useless. She gave the better half (which included the sugar mill) to her equally-steely daughter. The son incurred debts trying to build his own sugar mill which eventually crippled his half of the plantation. The son named his part of the inheritance the Laura Planation after his daughter, Laura Locoul Gore. Laura sold the plantation for $18,000 in 1891. Her only living descendent was a grandson who has since died of a drug overdose. It’s not quite shirtsleeves to shirtsleeves in 3 generations but close. If it weren’t for the fortitude of the women in this family, the men would have run the plantation into the ground much faster. Slave cabins at Laura Plantation. Before Laura died in 1936, she wrote her memoirs, Memories of the Old Plantation Home which makes fascinating reading. Some of her attitudes seem patronising until I realised that would have been how they thought in that era. For their time period, she and her “weak” father were quite liberal which did not a good Southern plantation owner make. The Laura Plantation Tour starts in the Big House and also visits the slave quarters. It attempts to tell the story of both the slaveowning family as well as some of the enslaved family. Obviously, the family history is better known and documented whereas the enslaved peoples’ stories are pieced together from ancillary sources. The Laura Plantation Tour itself is relatively short (about an hour) and most of it is indoors. TripAdvisor reviewers agree that the family story intertwined with the vagaries of American history is fascinating. 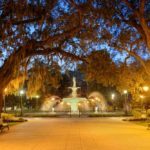 We wanted to stay in a New Orleans plantation hotel and the Oak Alley Plantation is one of two choices available in New Orleans plantation country. The other option in New Orleans plantation country would have been Houmas House Plantation which would have been another half-hour further on from Oak Alley Plantation. Check out the very positive reviews on TripAdvisor for Oak Alley Plantation Restaurant & Inn! 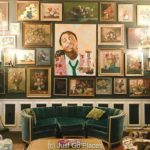 If you are driving as far as Baton Rouge, you will also have the option of staying at Nottoway Plantation Resort and The Myrtles Plantation. Unless you have particularly brave children, I’d choose Nottoway Plantation Resort because The Myrtles Plantation is supposed to be one of the most haunted hotels in the USA. The best part of staying at Oak Alley Plantation is having the house and gardens to yourself after the visitors have gone for the night and before they arrive in the morning. I was a little shocked that Oak Alley had lots of visitors from the very first tour which starts at 9 AM. A view of the Big House at Oak Alley Plantation from the formal gardens. They have different sized cottages which can accommodate up to six people. Our two bedroom cottage was charming. It had a traditional charm that was endearing and enough shiplap on the walls to make Joanna Gaines happy. One of the bedrooms at a traditional cottage at Oak Alley plantation. Our cottage had a kitchen for which we were thankful after our fussy child threw a fit at the nearest restaurant at lunchtime. We bought frozen pizza and ice cream for the kids at the nearest supermarket, Piggly Wiggly, in Vacherie. The beds were comfortable, the Wifi excellent and parking easy. What more could we want?? 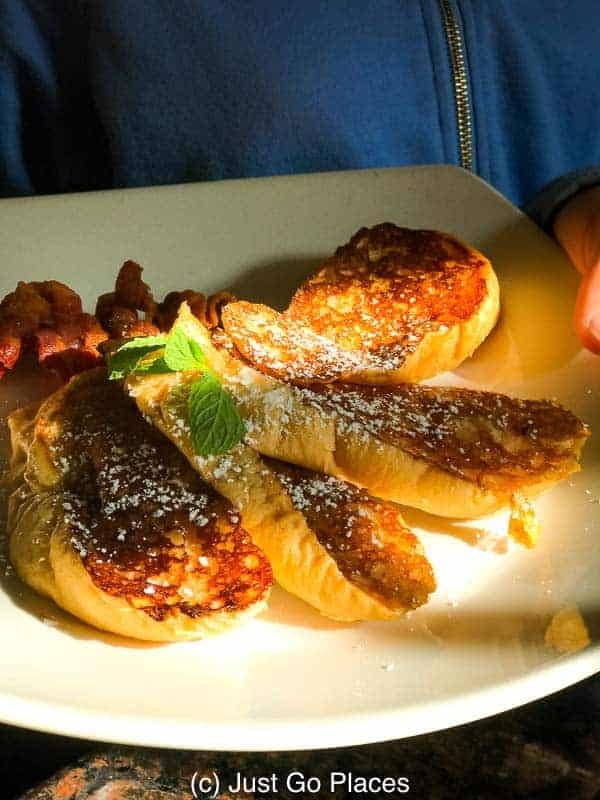 If you stay at Oak Alley Planation, breakfast at the restaurant is included. We had a hearty breakfast that included a choice of omelettes, french toast or that old Southern favourite, grits. French toast with Oak Alley cane syrup for breakfast at Oak Alley plantation. My fussy daughter had pitched a fit at the lunch on offer at the nearest restaurant we were recommended. B&C Seafood Market & Cajun Restaurant is conveniently located between Laura Planation and Oak Alley Plantation. We thought the food at B&C was good. There is a children’s menu with things like grilled cheese and lemonade. She, however, saw the alligator nuggets on offer and that was a bridge too far for her culinary sensibilities. Travel Tip – There are fast food establishments, like McDonalds, Subway and Pizza Hut on Highway 3125 about 6 miles from Oak Alley Plantation. We had stayed at this New Orleans plantation hotel on Valentine’s Night so there was a special dinner available in the banqueting hall. It was a price fixe with a fixed menu and needed to be scheduled ahead of time. There were no substitutions allowed so we wound up skipping a course which included mussels to which we are allergic. A romantic dinner for two at the banqueting hall at Oak Alley Plantation. Overall the meal was good and the wine pairings excellent. We did, however, feel like we were at a wedding just the way the tables were arranged with 16 couples facing the front of the banqueting hall. The head chef even came out to give a little speech. 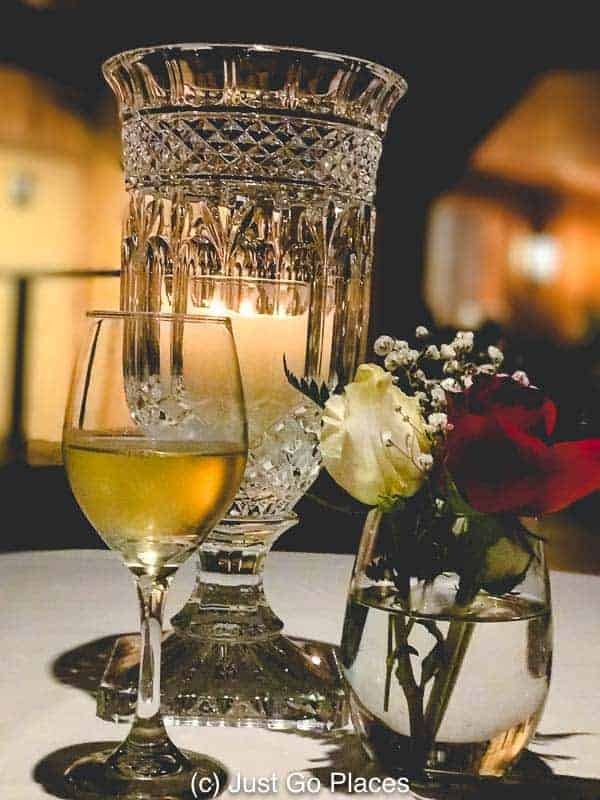 I think fine dining options in this part of the world are limited and the Oak Alley Valentine’s Dinner was the best local option for the night. We drove from New Orleans to see these three plantation homes in Louisiana. The drive is really easy and straightforward. Travel Tip – If you want to visit all three of these plantations, you should stay overnight in the area. 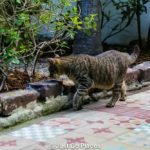 If you don’t have a car though, you have a choice of New Orleans plantation tours leaving from the city with different combinations depending on your interests. You can take a half day tour from New Orleans that specifically visits Oak Alley Plantation. 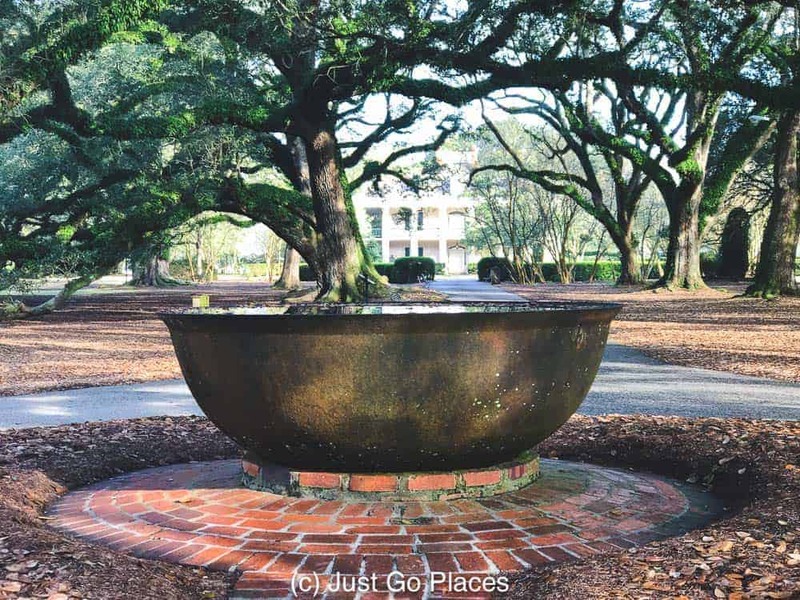 Another half day tour lets you choose between visiting Oak Alley and Laura plantations. There is a full day tour that lets you choose between visiting Oak Alley and Laura plantations but also includes a swamp tour. 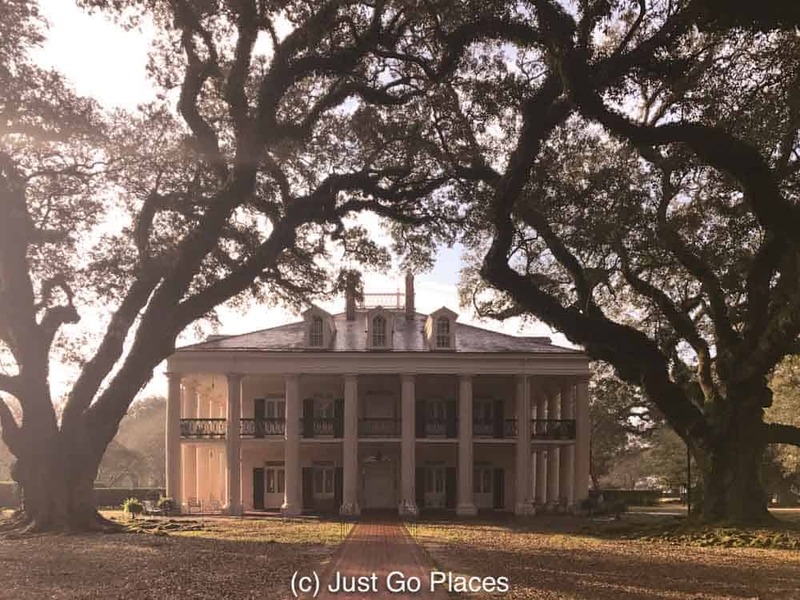 There is a one day tour where you can choose two of the three plantations mentioned above to visit – any two of Oak Alley, Whitney or Laura Plantations. We are glad we visited all three of these New Orleans plantation houses. They offered very different aspects of the Louisiana plantation homes lifestyle. We believe our kids enjoyed the visits to these plantation homes, too. Other than the Whitney Plantation tour, all the tours were short. None of the houses had major artwork or furniture that required detailed explanation which they would find tedious. We were whisked through the houses fairly quickly. They were fascinated with some of the stories they heard. For example, one of the teenage daughters at the Laura Plantation went to a French doctor to be treated for pimples. The medicine he gave her contained arsenic which lead to her death. Yes, modern medicine is a wonderful thing and they take it for granted. My kids were likewise shocked that enslaved children from the age of 10 were separated from their mothers and treated the same as adults who were made to work 16 hours a day. They are 11 years old and nowhere ready to be treated as adults, never mind leave the comforts of childhood behind them. Kids may learn history in school but visiting a historical place really hammers home the point. History is awfully inconvenient sometimes. I hadn’t realised you could go on plantation tours, but why would the houses and so on have disappeared? They are lovely buildings. I’m glad they are preserved. I’m glad they offer a balanced view of the situation though. I think you chose well. They are like the manor houses in England – very big and require staff and money to maintain. With the demise of the sugar industry, that kind of money was hard to get in agriculture in the Southern USA.